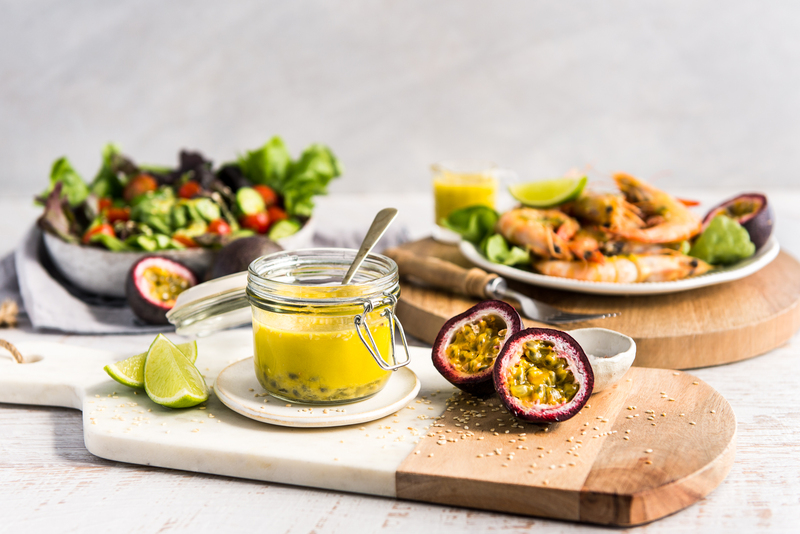 Place passionfruit pulp, lime juice, oil, honey, 1 teaspoon wasabi paste, and a pinch of salt in a jar. Cover and shake well. Taste dressing, adjust seasoning and add additional wasabi if desired. Stir through sesame seeds. Serve dressing spooned over a fresh green salad, steamed veggies, barbequed prawns, or blackened salmon. 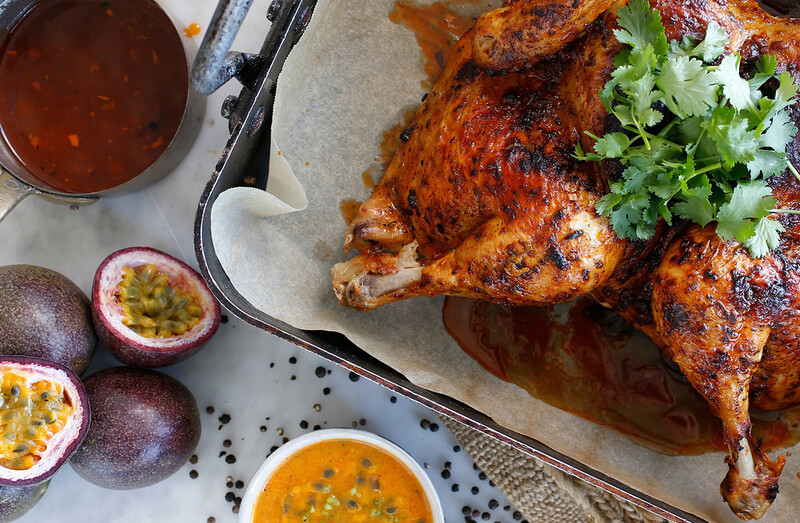 Can also be used as a marinade for chicken.